The humidity in the boxing gym is insufferable. You’re deep into the mental game now. To push yourself, you think of your favorite boxers and your favorite boxing movies and your thoughts drift to Rocky II. In your mind, maybe you’re the Master of Disaster and the King of Sting himself, Apollo Creed. Maybe you’ve retired more men than social security. And maybe one day you’ll have the body of an NFL linebacker and go the distance with your own Rocky Balboa. But even as a bodybuilder, Calliet retained the focus and minimalist mindset of a boxer. That’s how he found himself training one of his clients, an aspiring actor, in a studio-sized gym in an apartment in Baton Rouge, Louisiana. That client could hardly lift a weight when they started working together. With the bare minimum of equipment—some dumbbells, a universal machine, a few kettlebells—he began to craft that actor’s physique. Then that actor got a call. He’d landed the role of a lifetime. The client was Michael B. Jordan. 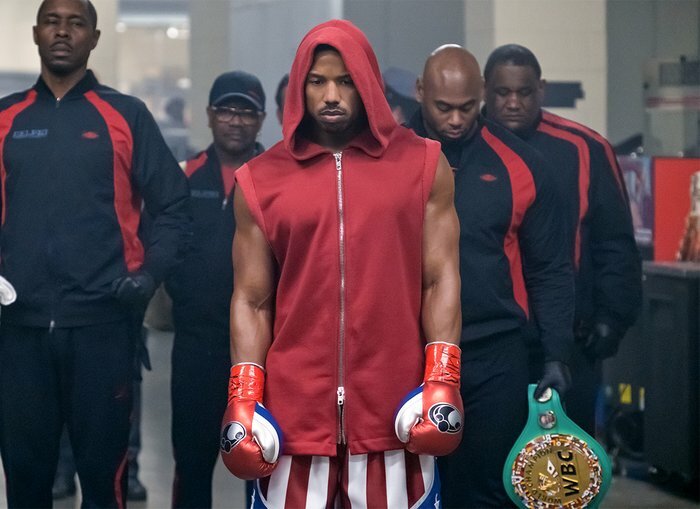 The role was Adonis Creed. Corey Calliet was going to be training Apollo Creed’s son off the screen, so Rocky Balboa can train him on it. Where to begin when building the son? Look at the father. In this case, that would be Carl Weathers, who played Apollo Creed. Weathers built his physical foundation as a collegiate and pro football player in the late 1960s and early 70s, and by the time he co-starred in “Rocky,” “Rocky II,” and “Predator,” he had dialed in a lean, hard-as-steel physique that looked imposing even when paired with the likes of Sylvester Stallone and Arnold Schwarzenegger. Here, in the drawing board phase of physique building, is where Calliet’s experience as a bodybuilder paid off. He wasn’t content to simply make Jordan look like a boxer. He wanted his physical presence to pop off the screen and awe viewers. Five minutes into “Creed” and it was apparent to audiences nationwide that Calliet and Jordan had succeeded. In one of the first scenes in the movie, Jordan’s character, Adonis, is watching film of his father fighting Rocky while shadowboxing in front of the video. From the style to the body outline to the movement, the resemblance to Apollo was eerie. If you didn’t know any better, you might think that Jordan was actually Carl Weathers’ son. 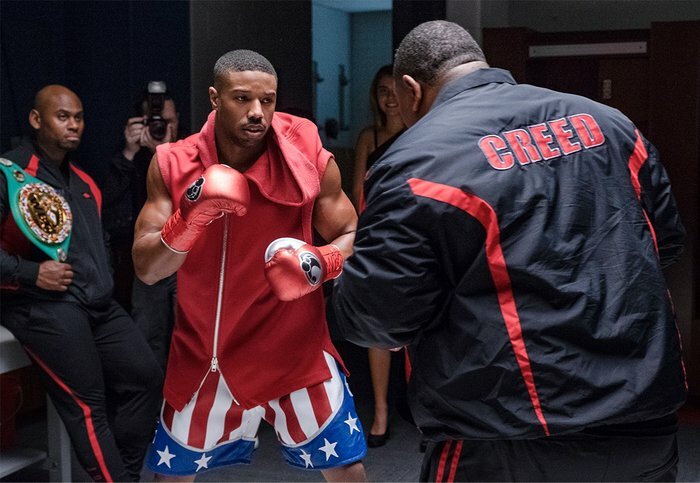 For “Creed II,” the plan Calliet hatched for Jordan’s physique was simple. They had four months to train, from January to June. During the game-planning phase, Calliet says, he doesn’t map out a graph of numbers that he and his client must follow during training. He goes by look and feel. In the beginning, since Jordan hadn’t been in the ring recently, they stuck with straight boxing workouts to bring his conditioning back where it needed to be. Then they moved on to plyometrics and weight training. The workouts toward the start of filming involved a lot of supersets and compound movements. They’d go from bench press into a barbell curl into bodyweight squats, with the weight and intensity increasing along the way. A quick peak into Calliet’s Instagram timeline provides a nice glimpse of what the training was like, with Jordan grimacing against the iron while Calliet pushes him to go harder. If the goal for the first “Creed” was to match Apollo’s physique, the goal for the sequel was a bit more ambitious: to land somewhere between Apollo and what Sylvester Stallone looked like in Rocky III. While Calliet will have to wait until the movie hits theaters to find out if audiences agree with the finished product, he’s already received the highest form of praise he ever could from the man who matters most. That’s a comment that makes both the boxer and the bodybuilder inside of Calliet feel like champions. “Creed II” Hits Theaters November 21, 2018.